Every community celebrates the life of its native sons and daughters who exemplify the strengths, values and opportunities that make them unique municipalities. Mount Vernon, New York and Westchester County has honored the life and work of Dr. Larry H. Spruill on numerous occasions. What makes Mount Vernon great are the same ingredients that make New York City extraordinary – its’ openness to diverse residents and the opportunities it provides for them to prosper and achieve “The American Dream.” The life of Dr. Larry H. Spruill is such a story. In 1952, The Spruill family left rural North Carolina seeking a new life, the promise of freedom from segregation, and a progressive public education for their children. Dr. Spruill was a toddler when they arrived in our city. He grew up in a south side cold water flat previously occupied by earlier immigrant groups. In 1955, he entered the Nathan Hale Elementary School. There he met social studies teacher, Mrs. Cecil H. Parker. She birthed in him a life-long passion for history. Over the next five decades, he achieved his dream of becoming an educator and scholar of local, national and global importance. In 1956, his working poor parents were fortunate to move into the newly constructed, Levister Towers, also known as “The Projects.” As with other “disadvantaged” students, a public education was the only path available for him to pursue his dreams of a good life for himself and his family. Dr. Spruill graduated from Mount Vernon High School in 1967. He was a stellar athlete and good student. He went on to an obscure up-state community college where he learned to study and understand what it would take to become a teacher and scholar. In 1969, he graduated with an Associates Degree (A.A.) in Liberal Arts. He transferred to SUNY Stony Brook. In 1971, he was awarded a Bachelor of Arts degree (B.A.) in American History with certification to teach Social Studies. He was accepted into the Harvard University’s history graduate program. He declined and remained at Stony Brook because his wife was still pursuing her degree. In 1972, Dr. Spruill earned a Masters of Art degree (M.A.) in Latin American History and began his career as a college instructor. His major areas of study were Brazil and Mexico. He spent the next decade working as a criminal justice lobbyist, developing community organization skills and conducting his doctoral research. Dr. Spruill served as a historical and photographic advisor to the 1986 EMMY award-winning television documentary, EYES ON THE PRIZE. In 1998, he was a consultant and commentator with Dr. Arthur Schlesinger for the British Broadcasting Corporation’s (BBC) television documentary DECISIVE MOMENTS. This program examined the three most influential photographs of the 20th century. It was televised on its global network as part of its analysis of the close of the twentieth century and millennium. Dr. Spruill is a renaissance man distinguishing himself as an educator, scholar, artists, theologian, author and community activist. He served in public education for thirty years as a teacher, staff and program developer, building and school district administrator and educational consultant. He also served as Scholar-in-Residence, Master Teacher, Chair of Staff Development, and Director of Multicultural Education for the Mount Vernon Schools. Dr. Spruill served as a national consultant for TIME-LIFE EDUCATION. 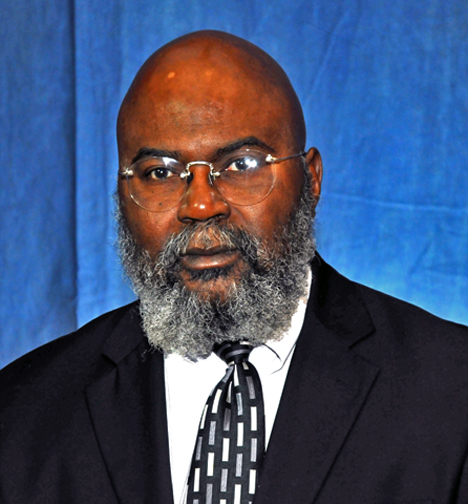 He specialized in Africana studies and interdisciplinary instruction. He conducted professional development workshops for major urban school districts across the nation (Memphis, Chicago, New York City, Scarsdale, Dade County, Florida, Irvington, N.J. etc.). In June 1988, Dr. Spruill was appointed MOUNT VERNON CITY HISTORIAN. He is the first African American to hold such a post in New York. He still serves at the pleasure of Mayor Ernest Davis. He has worked with the city to establish a proposed historical district and a city museum at a local historical site, John Stevens House. In 2001-2002, he was awarded by County Executive Andrew Spano the John Harmon Award as the inaugural WESTCHESTER COUNTY TRAILBLAZER IN HISTORY. He was the lead historical consultant for the Westchester County AFRICAN AMERICAN HISTORICAL TRAIL. In 1976, he was a founder of the ASSOCIATION OF COMMUNITY-BASED ARTISTS OF WESTCHESTER (AC-BAW Center for the Arts). Three decades later, the Center is one of New York’s longest operating community arts facilities specializing in exhibiting and presenting African American artists. From 1983-1994, Dr. Spruill was the founder and educational tour leader of WIDER HORIZONS, an educational travel program for elementary and secondary students, teachers and parents. In 2002, the program was revived at Mount Vernon High School with a tour to three West African nations. He served as a consultant to the new project. From 1989-1992, he was the architect and coordinator of PROJECT EXPECTATIONS, an innovative school improvement program located at Cecil H. Parker Elementary School. It led the nation in the area of Asian language studies, full-day kindergarten, and extended school day, week and year education in urban schools. The experimental k-6 school-within-a-school was funded with private funds. Dr. Spruill has been a key operative in other progressive educational reforms. He is a published and exhibiting photographer, as well as a leading collector of historical photographs of Westchester County. He has curated major exhibitions for several galleries and museums, including the New York State Museum in Albany. Dr. Spruill is a prolific author. Since 1980, he has written numerous publications in the fields of education, criminal justice, human services, the arts, history, photojournalism, civil rights and theology. He published a children’s book about a free African family living near historic St. Paul’s Church entitled, WHEN THE TRAIN CAME. This story about multiracial living in 18th and 19th century Eastchester has initiated a flurry of research about the African presence in our communities. In 1992, he wrote, MAKING PROGRESS, A HISTORY OF THE MOUNT VERNON SCHOOL BOARD, 1894-1994. He also curated a major exhibition about one hundred years of education in Mount Vernon. He redesigned the 2002-2003 Mount Vernon School calendar to reflect its’ 150 years of public education in our city. He also designed the local historic exhibition for the McDonald’s restaurant on Gramatan Avenue. Dr. Spruill continues to present and promote the preservation of the rich history of Mount Vernon and the Town of Eastchester. His pioneering book, A TIME TO REMEMBER, A PORTRAIT OF THE AFRICAN-AMERICAN COMMUNITY OF MOUNT VERNON, NEW YORK is a major contribution to the historiography of Westchester County. From 1993 to 1994, Dr. Spruill was weekly a columnist for the DAILY ARGUS of the Westchester-Rockland Gannett Newspapers. The column was focused on local history. It was well received and read by thousands. He hosted MULTI-CULTURAL TELEVISION (MCTV) a weekly cable television program featuring city and county diversity issues. He has written and,will publish DIASPORA DEVOTIONS, a book of prayers of African people from around the world along with photographs from his forty-year portfolio. It will be translated into five languages and distributed worldwide. He has recently completed a series of companion books entitled, Cooking By The Creek, a cookbook utilizing colonial and early American recipes from the Town of Eastchester and Flowers In Winter, a book of proverbs from the lives of 19th century free Africans in Westchester. The most challenging literary piece from this series is a novel about a brilliant African American woman growing up in 19th century Westchester. Her quest to hold onto her ancestral land along Eastchester Creek is a work in progress. The book is entitled, LIBBY, THE SECRET WRITINGS OF SARAH ELIZABETH NELSON. In 2000, the Westchester Library System selected Dr. Spruill as one of its MILLENNIUM AUTHORS. He is an Associate Minister at Allen Memorial COGIC, Mount Vernon, New York. In 1996, published WOMAN OF ETERNITY, THE MODEL CHRISTIAN WOMAN (Treasure House/Destiny Image). He is a composer and producer of African sacred music (gospel music). His lyrics and music have been recorded on several CDs including on a release featuring Grammy Award nominee, Rev. Timothy Wright. He is a global citizen. He has traveled extensively, visiting nearly every region of the world. He served as a consultant to the inaugural CAPE TOWN MUSIC FESTIVAL (1998) and the SOUTH AFRICA MUSICULTURAL FESTIVAL (Johannesburg, February, 2000). He is actively involved in the movement to restore the African to his rightful place as a major contributor to civilization. Dr. Spruill is currently compiling a forty-year retrospective of his photographs. He is writing a screenplay based on his doctoral thesis. He is an avid genealogist and has finished a family history, which traced his North Carolina ancestors’ roots to 18th century Nigeria. He and his wife have three children and two grandchildren. “Southern Exposure, Photojournalism and the Civil Rights Movement” has been highly acclaimed and has resulted in consultantships with several book publishers and television programs on Dr. Martin Luther King, Jr. and the struggle for racial equality. My 1983 thesis remains the seminal work on Dr, King, photojournalism, and the movement. The research was authoritatively cited in David Garrow’s 1987 Pulitzer Prize winning book, Bearing The Cross. It was acknowledged in Hank Klibanoff”s 2007 Pulitzer Prize winning book The Race Beat as a critical source in his work. “Southern Exposure” is being rewritten and edited for publication. My overarching philosophy is rooted in the “American Dream” and its interpretation by the 20th Century prophet, Rev. Dr. Martin Luther King, Jr. I am an American and committed to its historical libertarian values and creed. There is no greater national need than nurturing new generations of citizens and a workforce with the capability of understanding the mid-twentieth century movement to transform our nation from its legacy of slavery, segregation, and discrimination into an open society where all people are respected and treated equally. The Presidential election of November 2008 is prophecy fulfilled. The Civil Rights Movement (1955-1968) was commensurate with dramatic Constitutional reforms and the popular implementation of our National Creed, which calls for all Americans to have access to opportunities for a good life, liberty and the right to pursue happiness. Visual literacy (the ability to read text and images) and media are essential to our success at reaching the goals of the “Founding Fathers.” The extensive diversification of 21st Century America requires sustained dialogue about and a profound understanding of how and why we celebrate the Dr. Martin Luther King, Jr. National Holiday. The proliferation of digital information and technology was driving society. My academic research was needed more than ever. I am committed to life-long discussions about the American and “Kingian” Dream of upward social mobility, freedom, justice and equality for all. From 1955 to 1968 hundreds of photojournalists created a photographic record of the civil rights era. These photographs document the greatest social upheaval in the United States since the Civil War. They provide dramatic illustrations of Dr. Martin Luther King, Jr.’s nonviolent protest strategies. From 1984-1987, I was a founder and educational director of a special photographic archival project, co-sponsored by the New York State Martin Luther King, Jr. Commission and the New York State Museum. It initiated the national movement to identify, collect and preserve civil rights photographs of this dynamic period in modern American history. Thousands of these primary documents were at risk of being discarded and lost. The Civil Rights Era Educational Database was an outgrowth of my doctoral dissertation, Southern Exposure: Photojournalism and the Civil Rights Movement, 1955-1968. In collaboration with photojournalist Flip Schulke, I identified 10,000 photographs for annotation, electronic transference and storage into a central database. Today, photographic digital archives process is routine. Two decades ago, it was complicated and cost prohibitive. This innovative database provided new research and educational tools for libraries and universities, as well as the general public. This Emmy Award winning film series is a legendary documentary of the Civil Rights Movement. It has preserved the visual history of significant movement protest campaigns, confrontations and personalities. It continues to reach audiences that were not born during the protest era. It remains the premier and invaluable educational resource and teaching tool on the Civil Rights Movement. I was a consultant to the project (1985). I am proud to have been a part of the creation of Eyes on The Prize. It was produced by BlackSide, Inc., Boston, Massachusetts. What were the most influential photographs of the 20th century? This 1997 British Broadcasting Corporation (BBC) documentary helped answer that question. It highlighted three of the most important news photographs of the past century. The selected photographs included an image from the Vietnam War, the Cuban Missile Crisis and the Civil Rights Movement. I was the consultant and on-camera narrator for this documentary’s review of the role of photojournalism’s impact on our nation and world. It features the dramatic 1963, images of the Birmingham, Alabama protests taken by Charles Moore and Bill Hudson. Dr. Arthur Schlesinger and I were major contributors to the project. The producer was Ms. Elaine Bahair, London, England. It is available for viewing on DVD and VHS tape. Authentic globalism is realized in the desire to experience world cultures. I am comfortable on any continent on earth. As a scholar, theologian and photographer, I have traveled and immersed myself in the languages, customs, and environments of some of the most intriguing global venues. In 2008, I was a participant in an international seminar on “Critical Thinking” at Oxford College in England. I have also experienced Cairo and Cape Town, The Alamo and Alaska, China and Japan, Victoria and Niagara Falls and much more. I have been a missionary in Liberia (1989). These destinations have contributed to my intellectual and professional development. I have taught students from elementary to graduate school levels that upward social mobility is not solely measured by income or salary but more importantly by knowledge and global mobility. To be “world class” Americans must know who they are and be comfortable with the challenges of globalism and cultural differences. Latin American Historian (Brazil/Mexico): Among ten (10) African-American graduate students in the nation pursuing a doctorate in Latin American history. (SUNY Stony Brook, 1971-1978). Pioneered small learning communities in public schools through innovative program development and public/private sector funding. The small schools included extended school day, week and year; nontraditional staffing and leadership structures; Asian language studies; uniforms; full day kindergarten and global travel and educational experiences. (Project Expectations: 1987-1994). Founder and Educational Tour Leader of Wider Horizons (1984-2008), an international educational travel program for urban school districts with families of modest means. Disadvantaged students experienced the reality of globalism in England, France, Italy, Zimbabwe, Botswana, Japan, South Africa, Zambia, Senegal, Ghana, Togo, The Gambia, Benin, and other foreign destinations. Speaker at the United Nations’ International Women’s Conference in China (Beijing). Gave lecture on global education for girls in urban school settings. (Philadelphia Delegation: August 1995). Producer of sacred music (gospel): Co-produced the recording Just Believe (1988) by Dove Award-Winning artists Elder Timothy Wright. I have written several recorded gospel selections, which have been re-recorded by other artists. Consultation for Columbia University’s School of Journalism and Philadelphia’s Balch Institute on the impact of civil rights photography on Twentieth Century America and the world. It established these images as historical documents worthy of preservation and educational use. The sessions focused on teaching civil rights through photojournalistic archives. (1997) National Consultant for Time-Life Education: Designed innovative intercultural curricula and instructional methods for national pre-k to grades 12 schools. Alexandria, Virginia, 1998-2000. Historical Consultant for the W. C. Handy Foundation (Memphis/NYC). The founder of their Blues For Kids Educational Project, February 1998. Gospel Music Consultant for Selco International (NYC), the founder of the Cape Town Music Festival, Cape Town, South Africa. February, 1998. Education Advisor to the Westchester Holocaust Commission. Traveled with thirty educators to Germany to assess holocaust education in German schools and popular culture. Manhattanville College, Purchase, NY. 1999.